I write this to the future, when it will be the day after Memorial Day in the U.S. I currently abide on the pleasant, lazy plane of Memorial Day itself, which I’m spending with big kids, little dog, and friends “at the beach,” which really means near a beach. The weather this weekend has been a mix of beachy and very-much-not-beachy. 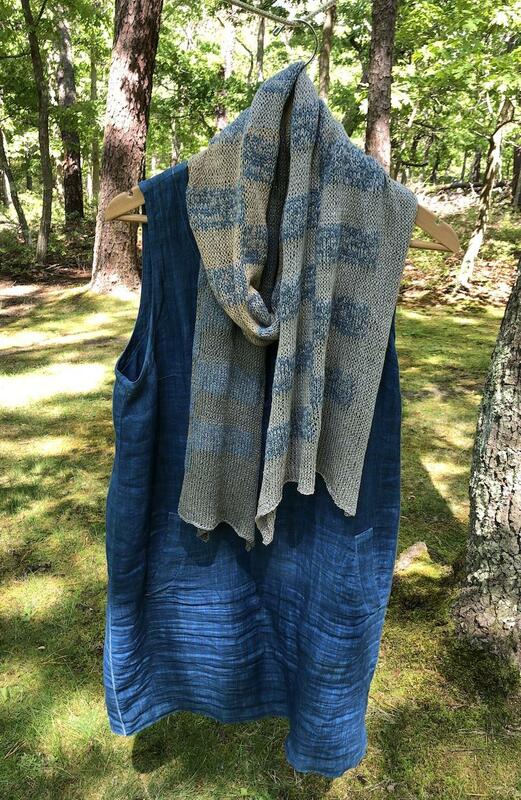 In other words, perfect wearing conditions for a light little wrap you can toss over the shoulders (beachy) or wind around your neck as tight as you can to hold in any stray thermal units generated by your body (not beachy). 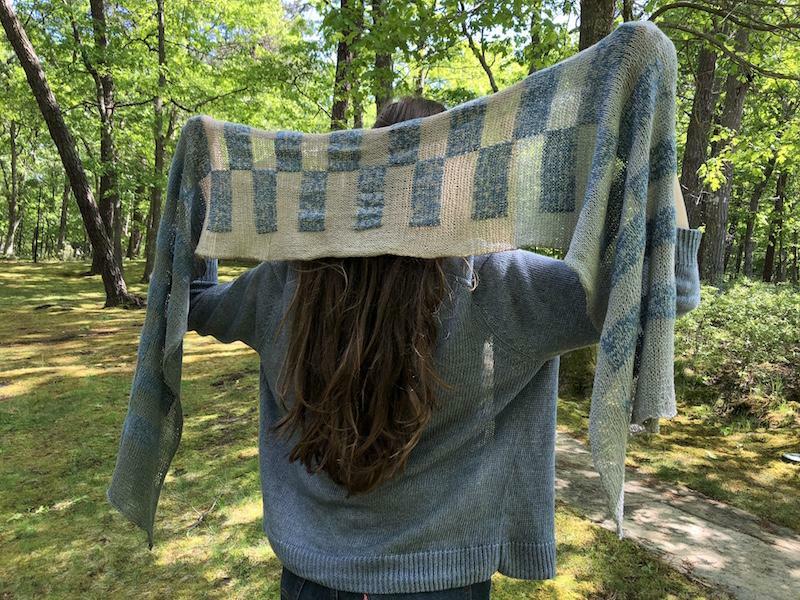 Maybe it’s my all-blue wardrobe, but the Albers Shawl looks good with everything. 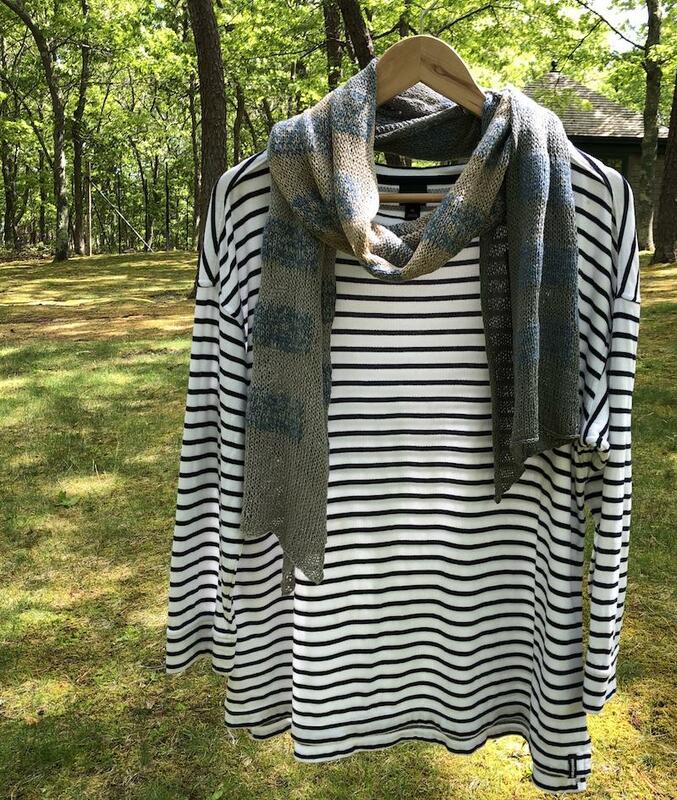 with the oversized Breton tee i wear all the time except when it’s hanging on the clothesline. With the plaid dress I over-dyed with woad that time in France when we experienced Mass Woad Hysteria. On my daughter (where my nicest accessories tend to end up). Put your Albers in the air like you just don’t care. 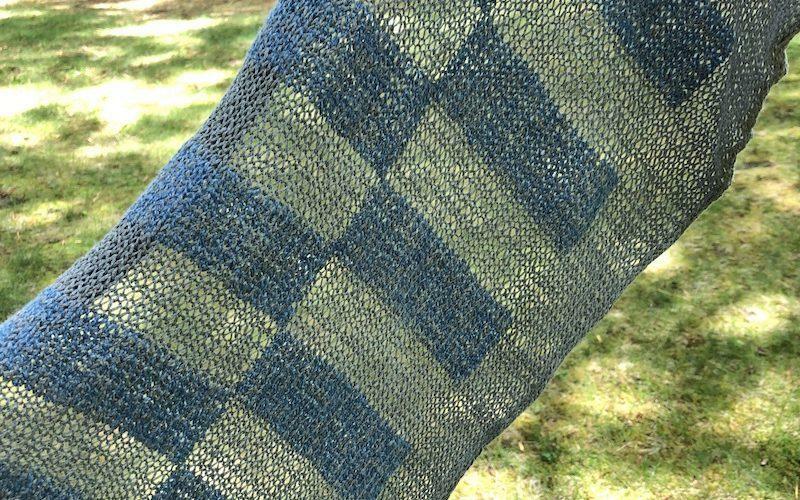 In the course of knitting my own Albers Shawl, I discovered an error in the pattern. Long story short, the gauge and dimensions given in the pattern do not match the (verified) (re-verified) gauge of the sample we used for photography. We don’t know how this happened. I do know that it is devilishly hard to measure gauge on this shawl; so much depends on which way you stretch it during blocking. But we got it wrong. The corrected knitted measurements and gauge (both smaller than previously stated) have been added to our errata pages here and on Ravelry. We hate when pattern errors happen, and we apologize to everyone. 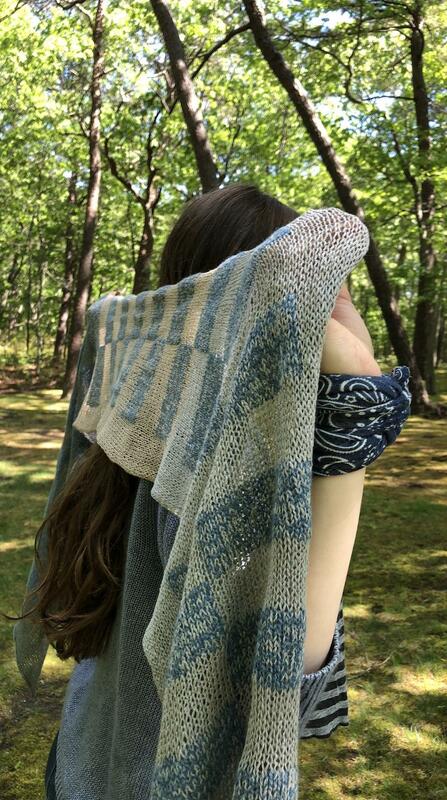 Late spring/early summer weather calls for wrappy little knits like shawls and scarves. I am glad to see others make that knitting error. I found it in my work on a tunic blocked recently. 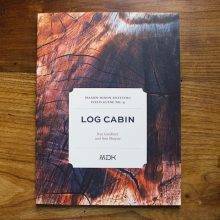 I blame it on too many garter stitch log cabin pieces completed lately. My autopilot was malfunctioning! Thanks for the errata notice as well. Well, I embrace imperfections! This fact causes many “discussions” between myself and my husband (he is a staunch perfectionist). However I love the unexpected beauty of a mistake. When I was teaching my children anything and they made an error I always said “it’s ok, I’ll show you how to make that “booboo” go beautiful.” They are grown ups now my two sons are free spirits and my daughter is her dad’s girl, the perfectionist. I love them all ….. 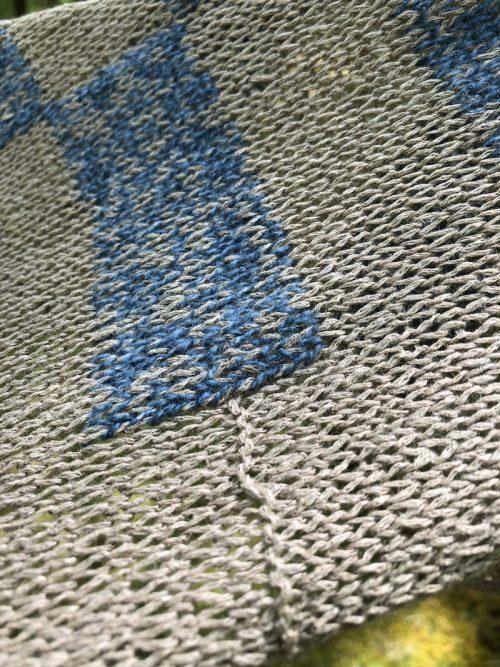 I firmly believe that imperfections give the FO the authenticity of being truly handmade. Maybe that’s a rationalization, but it’s the small errors that prove the labor of love that goes into a handmade gift. Mom always said, “Don’t worry about a mistake. It’s how people know it is handmade.” I am almost finished with my first Albers and last night I noticed I had picked up a stitch a couple rows back! Fixed it with a k2tog and the recipient will never know. Love this piece. I love this! And I agree with your mom. Even store bought items usually have imperfections after I wear them: I’m like a toddler in my ability to spill. I believe that is a design element that many people will copy. Dear Kay, the wrap is elegant, but I am wondering about your daughter’s cardigan. 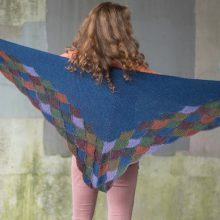 Did you make it, and if so, is the pattern on Ravelry? Sorry to report that it’s a store-bought cardigan on my dear daughter. WOW. ! You know your life is simple when the high point of your day is your morning coffee and the MDK website. Once the coffee is finished, my day begins and life doesn’t slow down. Thanks for a great start ! Beautiful! 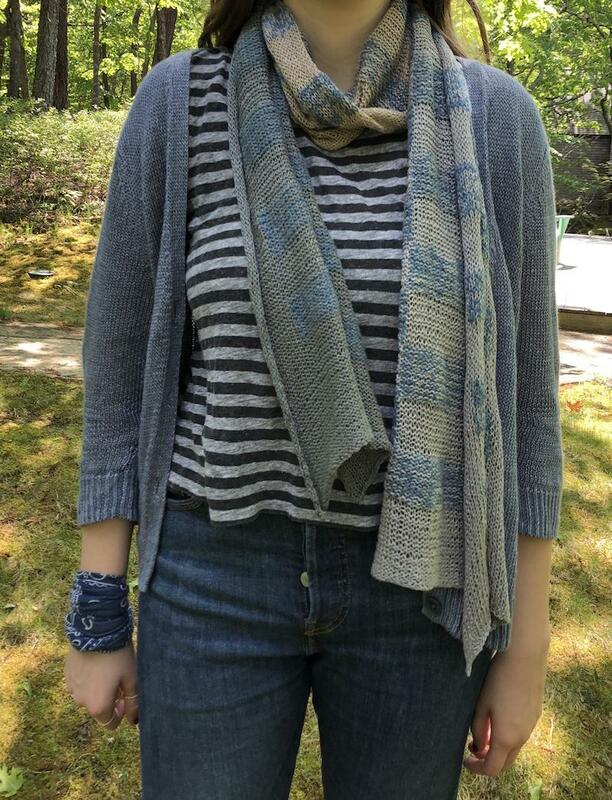 A handknit with a touch of wabi-sabi is a wonderful thing. Yay! glad to share a smile today. 😀 Your interpretation of wabi-sabi is perfect. I also quilt in quilting has been a lesson on imperfection for me. In the beginning it really stressed me out. My daughter consistently tells me that’s how she knows it’s handmade. And anytime she gets anything handmade, for me or anywhere else, she looks for those. She says they comfort her. Her comment comforts me every time I find a mistake. I get a lot of comfort lately. Since my knitting has been giving me fits lately, it is comforting to know that others make mistakes, too. I made a mistake on the color wash scarf and didn’t see it until it hit the water! Arggg, just arggg. Fortunately it was for my daughter who didn’t care as she said it would be lost in the bunching up around her neck. So pretty and airy! I like the relatively low contrast between the two colors you chose: geometry and softness working together. The pairing with your blue dress is sensational! Beautiful! I make that knitting error all the time. Recently when I was picking up dropped stitches I even inserted that error!! I love the pics of the shawl. 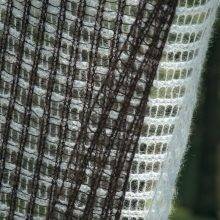 Where can I find the pattern. Yes, if you knit to the correct gauge, you should have plenty of yarn. Flotalicious! 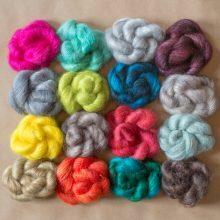 And what KnitNellKnit said – those calculations are tricky. 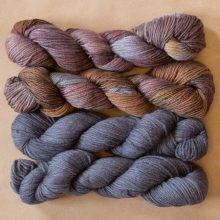 And I’ve taken to weighing whole skeins when designing only to discover how much variation there can be in a “50” gram skein. After many years of giving presentations and publishing investment research pieces, I am convinced that there is a universal law of nature that no one ever mentions. Namely, in almost everything published, there is a mistake that is invisible up to the point of publication, no matter how careful the piece is proof-read and verified, but glaring once published. I have found it works nearly every time. Thanks for the errata. The shawl is gorgeous. This is a little off topic, but I know a garden full of blooming woad. Did you by chance leave a link or something on how to use it as a dye? 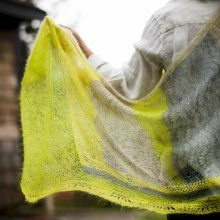 I do love the Albers Shawl too! I wanted to let you know how much I enjoy your website and snippets. So helpfu, informative, and welcoming. Love getting your emails. For some reason, I am always a step behind. LOL. I have just now fallen in love with the Albers Shawl and am in process of knitting it as a gift for a beloved aunt for her 75th birthday. I think the Shakerag top must be next. Am loving the new field guide #7 as well. Aack! Not enough time for all the knitting.